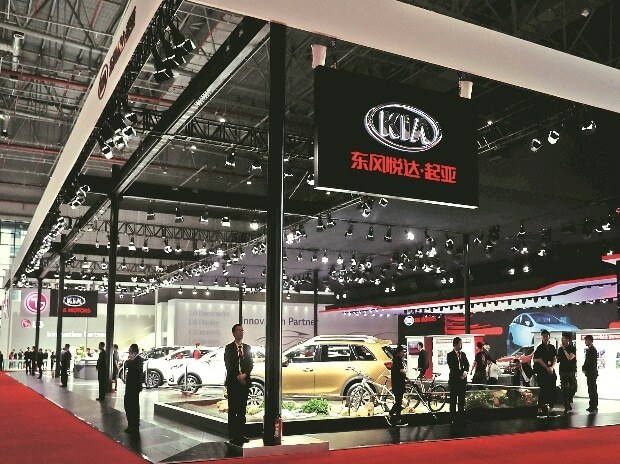 Korean carmaker Kia Motors on Tuesday commenced the trial production at its greenfield manufacturing facility in Andhra Pradesh's Anantapur. The company built the factory at the 536-acre manufacturing facility in 14 months. Kia marked the start of trial operations with a launch ceremony at the Anantapur plant in the presence of state Chief Minister N Chandrababu Naidu. The facility is built with an annual production capacity of up to 300,000 units. Together with its vendor partners, Kia proposed to bring an investment of $ 2 billion to its AP operations. The new Anantapur plant, which is the first India facility of Kia Motors, employs the latest production technologies, with more than 300 robots automating the press, body and paint shops, according to the company. The trial production also marks the arrival of Kia's new flagship car for India, the Kia SP2i- a new SUV based on the Kia SP Concept, first showcased at India Auto Expo 2018. "India will play a singularly important role in expanding Kia Motors' global footprint, and today feels like the start of another chapter in our Indian success story. Commencing trial production is a significant moment that we have been preparing for as we take on the challenges of future mobility across the country," Kia Motors President and Chief Executive Officer Han-Woo said. The plant is expected to create over 3,000 direct and 7,000 indirect jobs in the state.